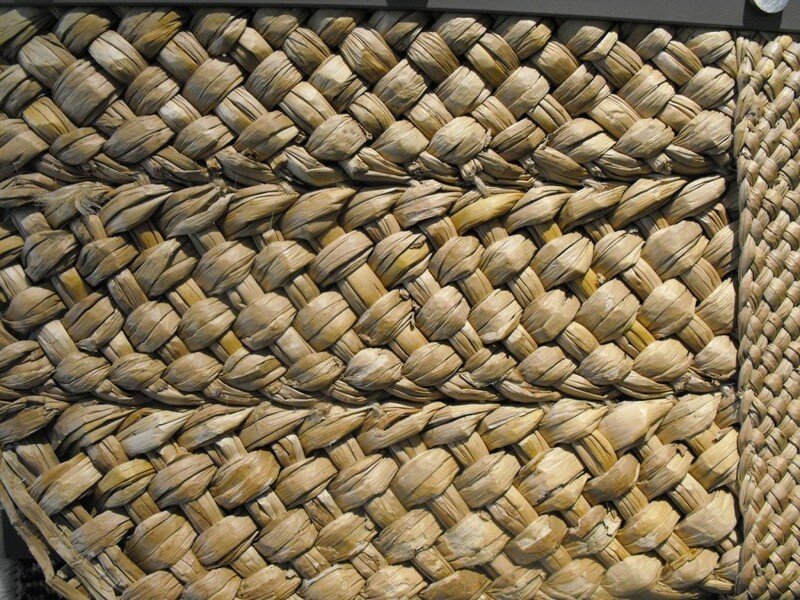 Plaited rush or straw matting was used as a floor covering. 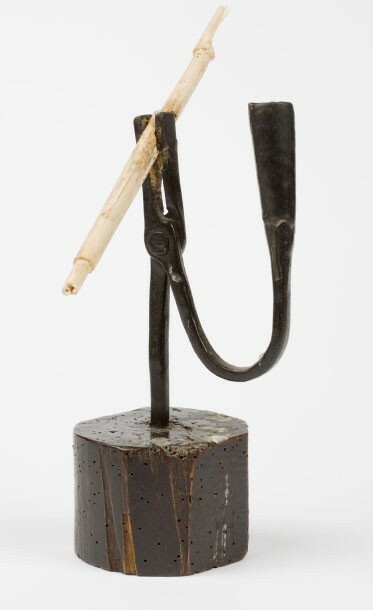 A rush light.The pith of the soft rush was dipped in melted wax or tallow and used for wicks in rush light. 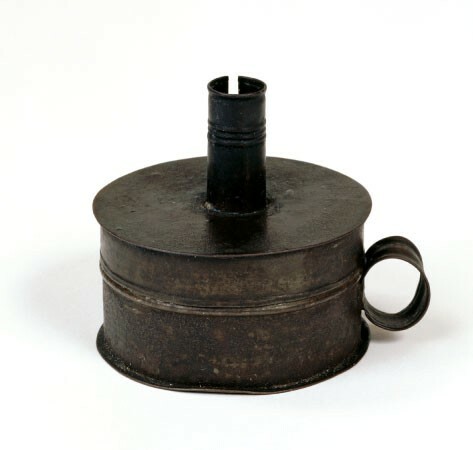 This was the cheapest form of lighting as candles were expensive. 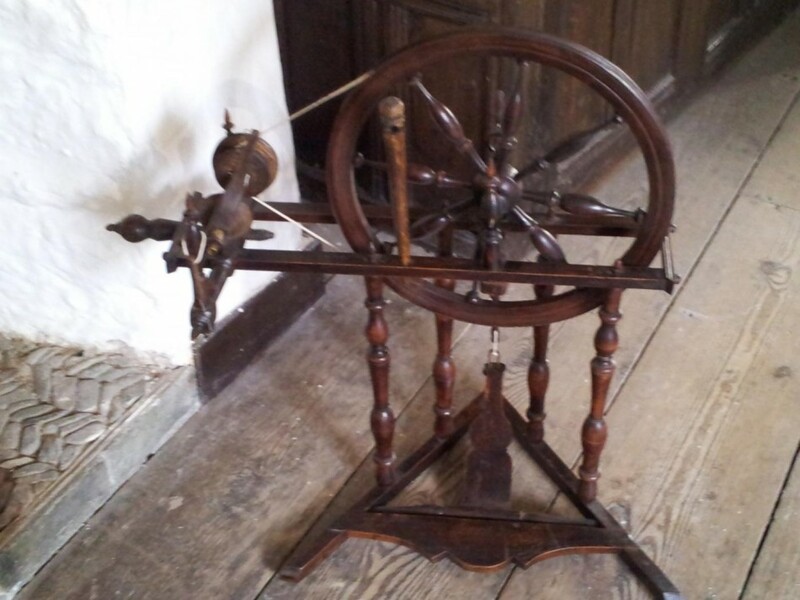 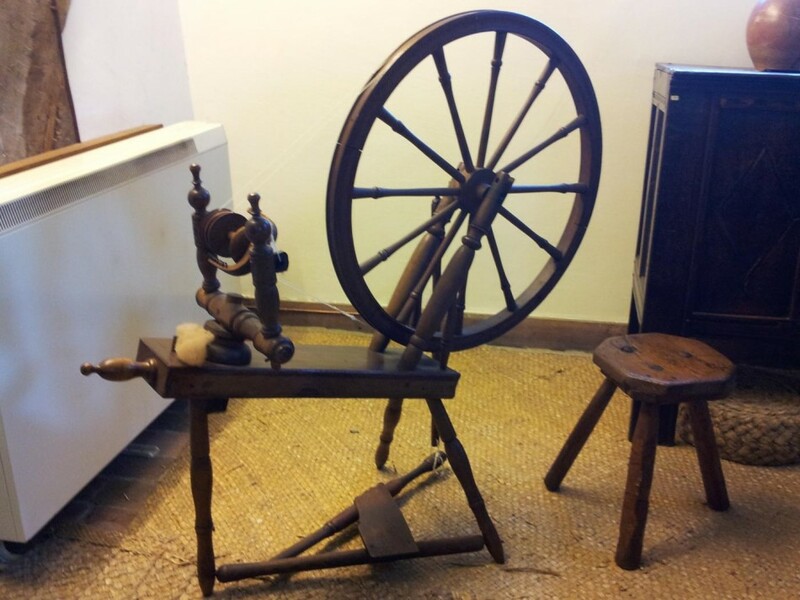 Spinning wheels were used to spin wool and flax for linen.